Garrett Neese/Daily Mining Gazette The Houghton County Land Bank Authority is pursuing a $50,000 grant to help demolish buildings and clean up a blighted lot in Lake Linden. The goal is to build three single-family homes on the four parcels. LAKE LINDEN — The site of a former Lake Linden business-turned-eyesore could be seeing new use through a brownfield redevelopment project. The Houghton County Land Bank is pursuing a $50,000 state grant to cleanup and former Lakes Paint Supply site, located on the 1300 block of Front Street in Lake Linden. The statewide funding program has $350,000 for demolishing blighted properties in small communities. “It sounds like we might be overreaching for our rural county and for our small land bank, but this grant opportunity almost looks like it was written for us,” John Haeussler of the Houghton County Land Bank Authority told the Houghton County Board at its January meeting. Members of the state Land Bank Authority who toured several locations in the Copper Country last fall were enthusiastic about possibilities for the site, Haeussler said. 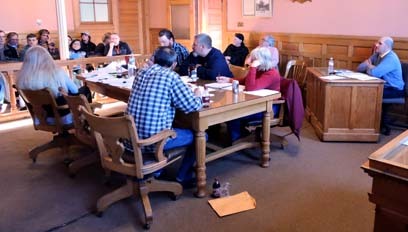 A decision on the grant is expected sometime in March, said Sam Stonelake, business retention specialist for the Keweenaw Economic Development Alliance (KEDA). The Michigan Department of Environmental Quality has approved an environmental assessment of the site for this spring. That would be followed by the demolition of existing buildings on the four parcels. it would be replaced by the construction of three modern, affordable single-family houses, Stonelake told the Lake Linden board at its January meeting. The cost of demolition is estimated at about $70,000. The county land bank will partner with KEDA on the brownfield grant as well as a request for proposal to build housing and demolish the existing structures. If the land bank can’t get the $50,000 grant, it would be financed entirely through brownfield tax increment financing, Stonelake said. The property would have an estimated value of $316,000-$405,000, Stonelake said. The main goal will be to redevelop the property to put it back on the tax roll, Stonelake said. Cleaning the area up should also benefit the neighborhood. “That’ll definitely change that area, and I’m sure the neighbors will appreciate it,” he said. 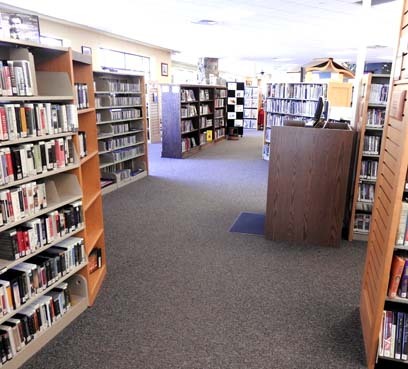 Bond issue will go to Calumet voters in Aug.